Cooking with your Thermomix can seem a little daunting at first. But it is also exciting as you open your world to the all the benefits of owning a Thermomix which includes my number one benefit – time saving. We are all so time poor these days! And that’s where Thermomix stepped in to save the day. Ingredients can be chopped or milled in seconds. Gourmet meals can be made in minutes. Cooking with your Thermomix is such a time saver. So how do you cook with your Thermomix? There are three ways to cook with the TM5. You can cook manually, use a recipe chip for guided cooking, or use the automated function inbuilt in your Thermomix. All three methods of cooking are used during a demo. 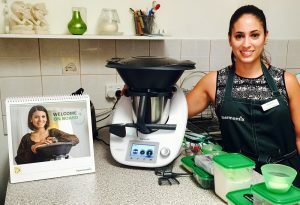 Click here to read more about Thermomix demonstrations. When you have your Thermomix delivered your consultant will show you how to use your new partner in the kitchen and together you will make the vegetable stock paste using the recipe chip for guided cooking. Once your consultant leaves you will feel charged with excitement about all the meals you are going to create. And if you are like me you will flag almost every single recipe in the Basic Cookbook! 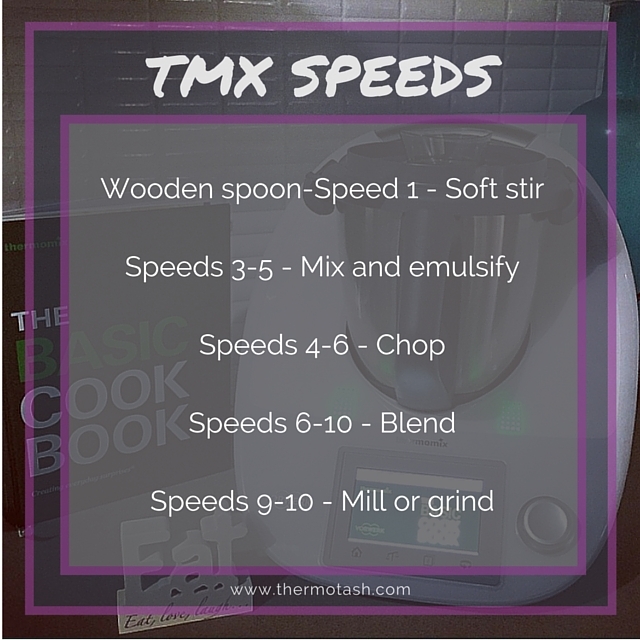 The number one rule to manual cooking in your Thermomix is ‘TTS’ which stands for Time, Temperature and Speed. TTS means that you set your time first, then temperature (if required) and then select your speed. This is especially important if you are cooking with heat. If you don’t set your time then the safety feature will kick in and the heat won’t be enabled. With manual cooking you are in control and you can follow a recipe or create you own. With guided cooking the TTS will be set for you and the scales come up for you (my favourite!) You can still take control and omit ingredients you don’t like and add ones you do, and skip steps if you have done them ahead of time or feel you don’t need them. Guided cooking takes cooking with your Thermomix to a whole new level of ease. It’s that easy that even children can use it and men love the tech too! Other benefits of the tech is you can pause and resume recipes, view recently cooked recipes and save recipes to your favourites! Then there’s automated cooking. This is guided cooking but even easier! You are guided to add all the ingredients and then you start automated cooking. The recipe options are for rice, custard and yoghurt so there’s no need for chopping or other functions. Cooking with your Thermomix is so easy but it is also a different way of cooking so it can take awhile to adjust. I could cook traditionally but always had to follow the recipe so that’s still me with my Thermomix. I would love to be able to just throw ingredients together and create a meal but the perfectionist in me can’t handle the risk of it being a flop! So before converting recipes for Thermomix I used guided cooking to really get a feel for all the functions. Then I just had to think in ‘Thermomix mode’ to convert traditional cooking recipes for Thermomix. You can read more tips about converting recipes here. Another way to get great tips is to go to a cooking class. Cooking classes are held every 6 weeks. I’m really excited about the next one my team is holding because it features recipes from the Festive Flavour cookbook! You can read more here.